This compact shave mug has man sized handle to accommodate large fingers and an anti tip base. Good depth for working up a great lather. 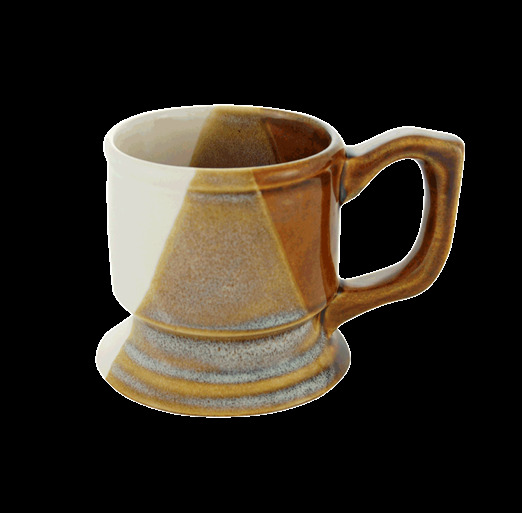 Earth toned multi-brown glaze. Col. Conk 2.25 oz. shave soap included (scents will vary). Boxed.